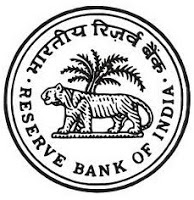 Reserve Bank of India, Chennai invites applications from eligible female candidates belonging to OBC category, possessing Post Graduate Degree/ Diploma in Gynaecology with at least 2 years experience in any hospital or as Medical Practitioner, for one (1) post of Part Time Bank’s Medical Consultant on a contract basis. The application must reach the office latest by December 13, 2017. Educational Qualification: Applicant should possess Post Graduate Degree/Diploma in Gynaecology. The applicant should have a minimum of 02 years of experience in any hospital or as a Medical Practitioner. 1. The applicants residing in Chennai and having their own private dispensary or place of residence within a radius of 15 kms from the Bank dispensary, will be given preference. 2. The remuneration of Medical Consultant on contract basis will be fixed with reference to the actual duty hours performed and will be all inclusive. 3. The Contract for engagement will be initially for a period of three years which can be extended on such terms and conditions which are mutually agreeable to both the parties. 1. Rs.750/- per hour for the first three years of contractual service and Rs.950/- per hour after completion of three years of contractual service. 2. Out of total monthly remuneration a sum of Rs.1000/- will be treated as conveyance expenses. 3. Reimbursement of mobile charges of Rs.1000/- will also be provided. How to Apply: Interested and eligible candidates may please make an application in the prescribed format as at Annex-III. The application should be sent in a cover super scribed ‘Application for the post of Part-Time Medical Consultant on Contract Basis’. Address to sent Applications: The Regional Director, Reserve Bank of India, Fort Glacis, 16, Rajaji Salai, Chennai – 600 001.